Neural crest cells are the embryonic precursors of most neurons and all glia of the peripheral nervous system, pigment cells, some endocrine components, and connective tissue of the head, face, neck, and heart. Following induction, crest cells undergo an epithelial to mesenchymal transition that enables them to migrate along specific pathways culminating in their phenotypic differentiation. Researching this unique embryonic population has revealed important understandings of basic biological and developmental principles. These principles are likely to assist in clarifying the etiology and help in finding strategies for the treatment of neural crest diseases, collectively termed neurocristopathies. 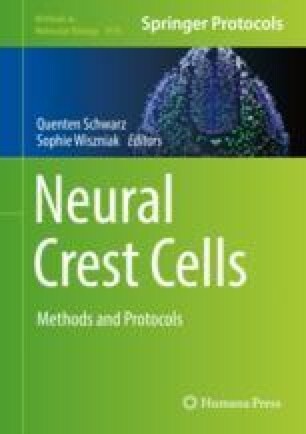 The progress achieved in neural crest research is made feasible thanks to the continuous development of species-specific in vivo and in vitro paradigms and more recently the possibility to produce neural crest cells and specific derivatives from embryonic or induced pluripotent stem cells. All of the above assist us in elucidating mechanisms that regulate neural crest development using state-of-the art cellular, molecular, and imaging approaches. I am grateful to Joel Yisraeli for critical reading of the manuscript. This work was supported by a grant from the Israel Science Foundation (#97/13) to C.K.